Human Health Project‘s (HHP) foundation is built upon peer-to-peer health information, education, and support. Through our programs, our objective is to empower individuals locally and globally to manage their health. HHP was founded in 2002 by Dr. Phil Harrington who had spent three years trying to find a diagnosis which sparked the idea for HHP. Today we are made up of a small core staff with 80+ volunteers, 30+ board members and advisers, spread around the world. health outcomes. HHP has a special focus on the underserved and vulnerable population groups, as well as the elderly and their caregivers. themselves and those in their care. including conventional, alternative and Integrative. location, social class, or financial position. 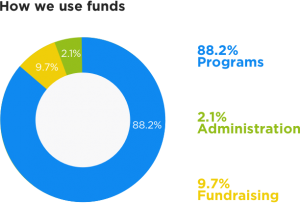 We rely on your donations to pay for servers, bandwidth, maintenance, and development of the Human Health Project platform including salaries. We need a small paid staff of 5 to work with a volunteer team of 80 people. Your financial gift will help not only us, but people across the globe.